Now that is money baby. 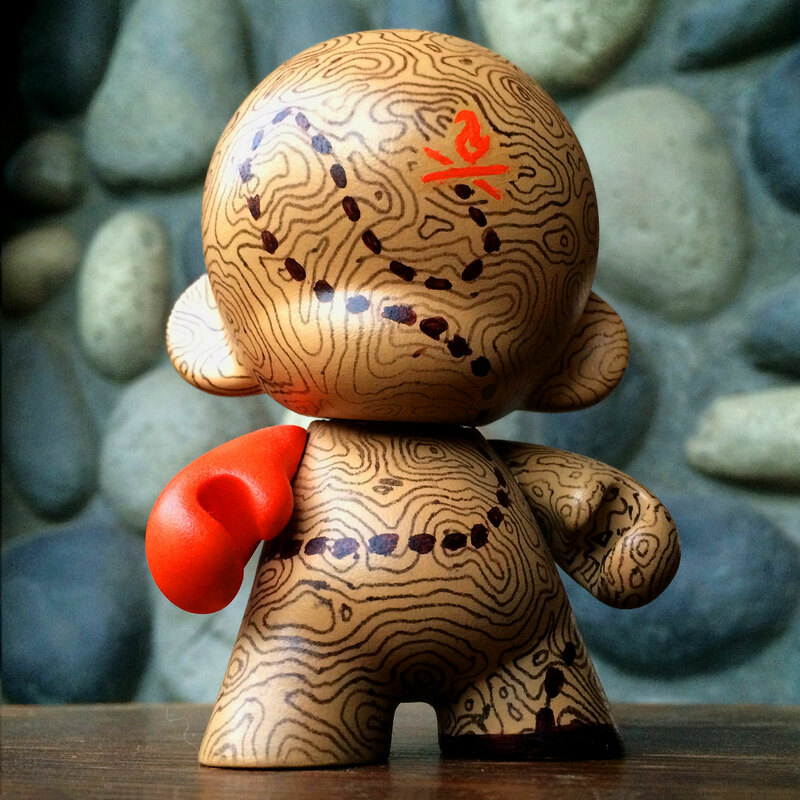 Well… Munny. 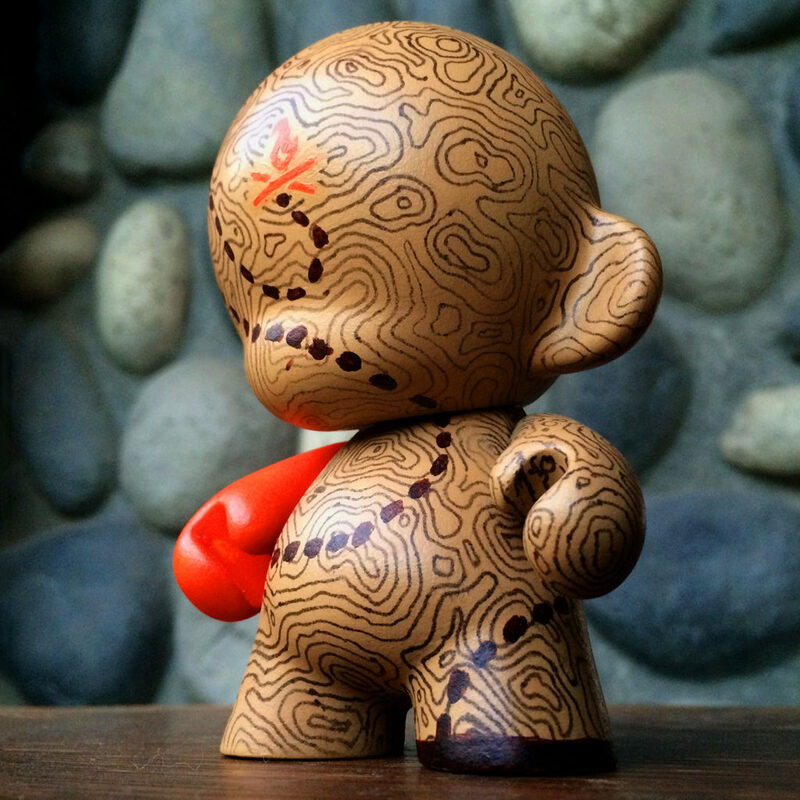 A Munny is a customizable vinyl toy produced by Kidrobot, and it is not to be confused with a Dunny, which is the manufactured one. 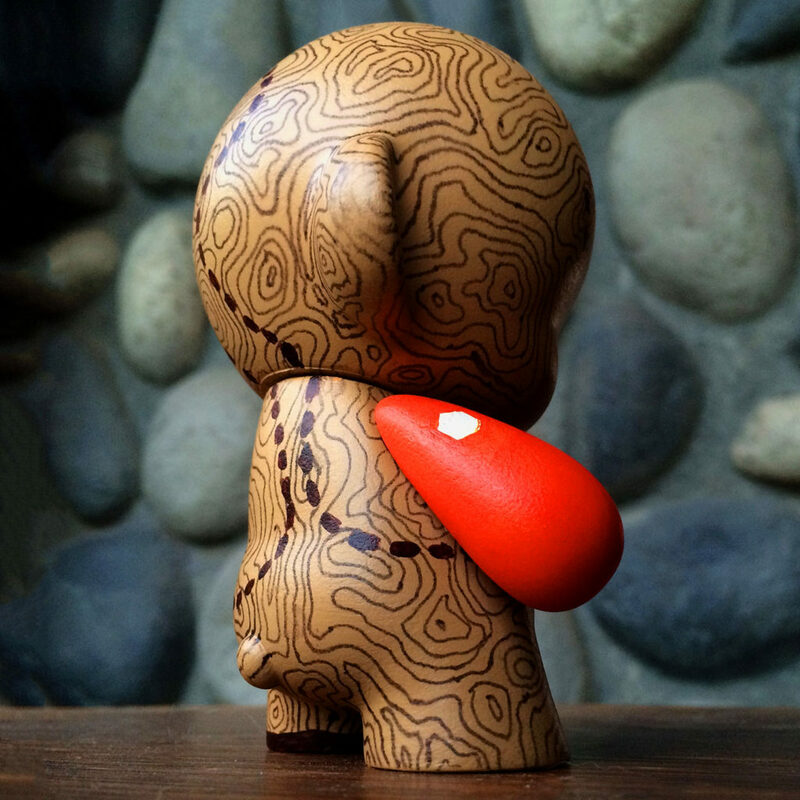 The beauty of a Munny is that you can customize it – you can scribble on it, paint it and according to Kidrobot, even sculpt it yourself. You can use many materials on it, and I went with acrylic paint. It was nice to get away from the keyboard and break out the old school tools! Of course, I had to start with a computer layout. It was nice to explore ideas with the undo button at hand anytime I needed it. A lot easier than repainting. When I started working on this project I had recently finished my branding, so the subject matter just rolled in. 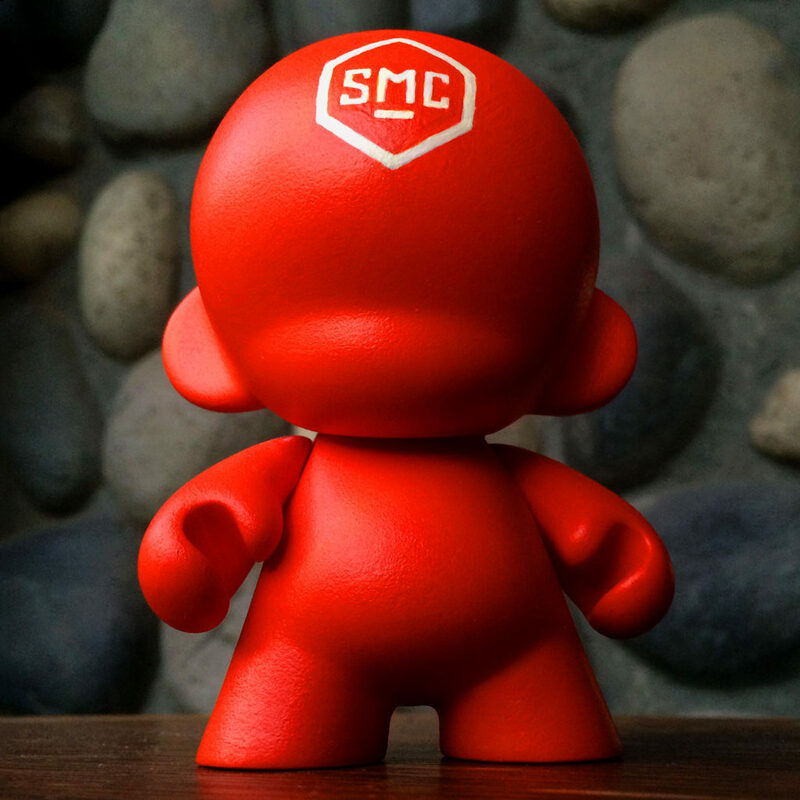 It was a blast playing with the SMC brand standards to make the Munny come to life. 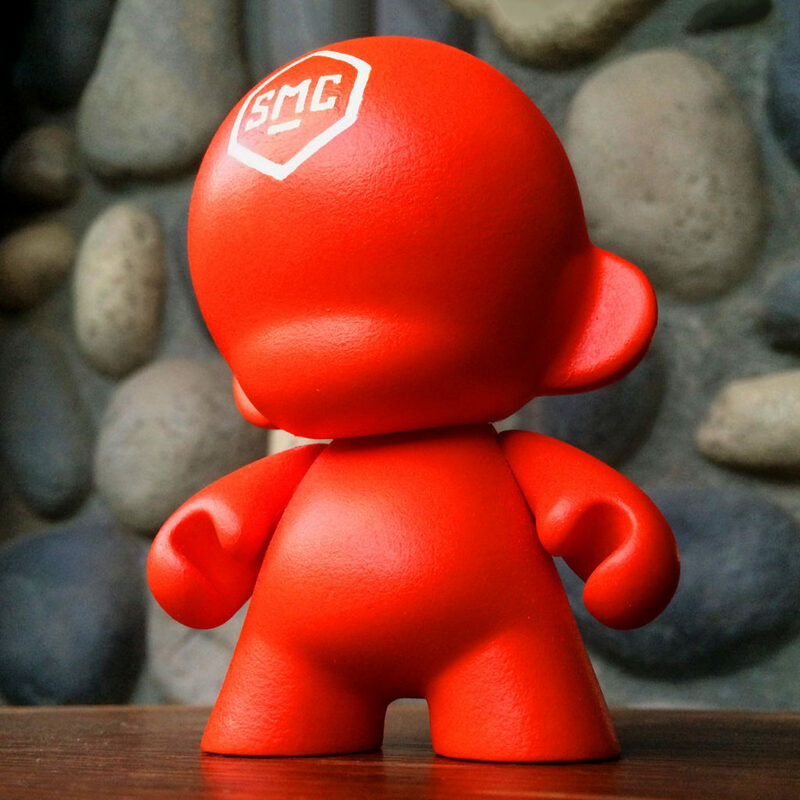 Since this was the first Munny I customized, I went with a solid color and my logo. 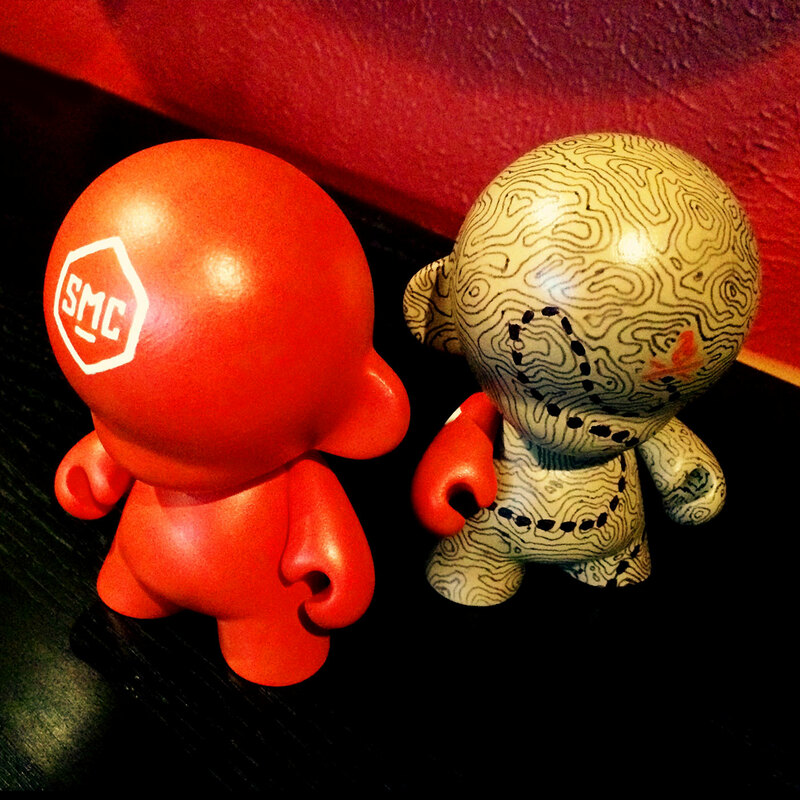 The little character comes apart to make it easier to paint. The arms, the head and the torso are all interlocking. The solid color worked out a great! Once I got the pieces all painted and dry, I started hand painting the logo, which took a while…and showed how rusty the blade had gotten with the hand skills. After a short battle with perfectionism, I finally got to the place of “this is handpainted. Let it go”. 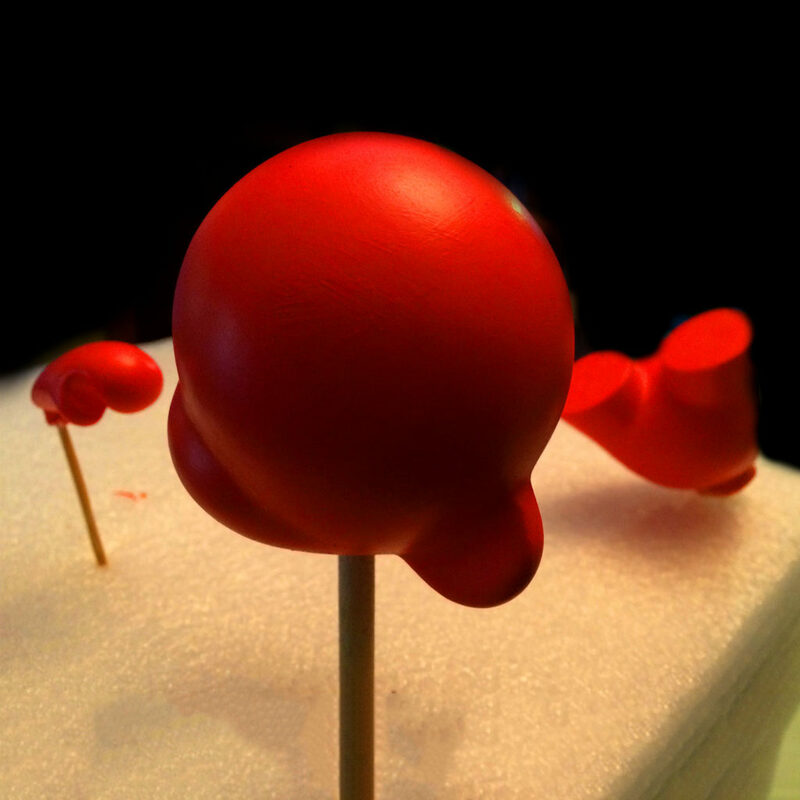 The final step was to spray it with a sealant and put him back together. 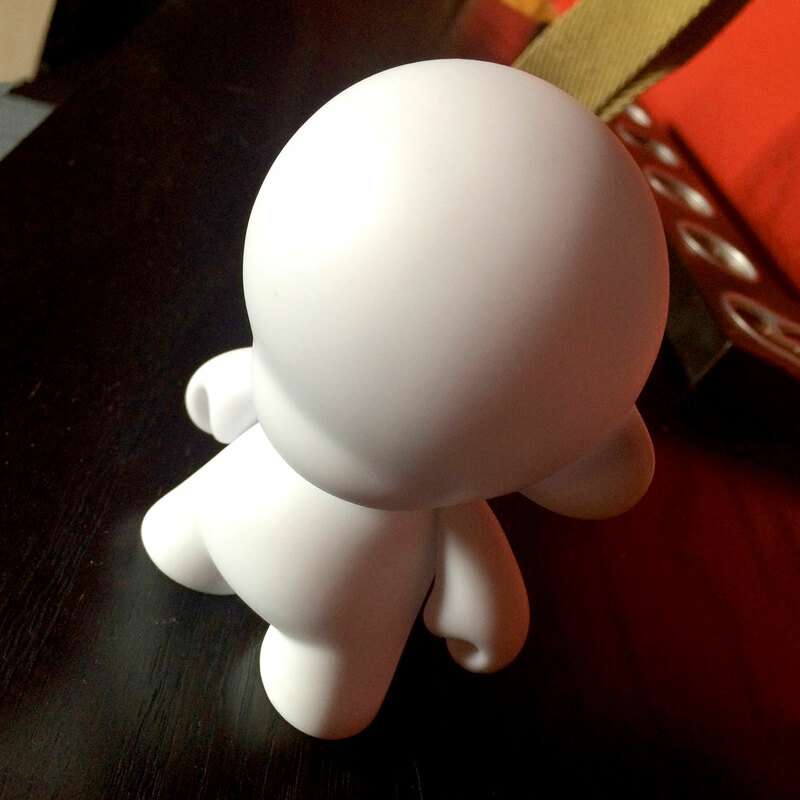 And then on the shelf in the studio, he went. 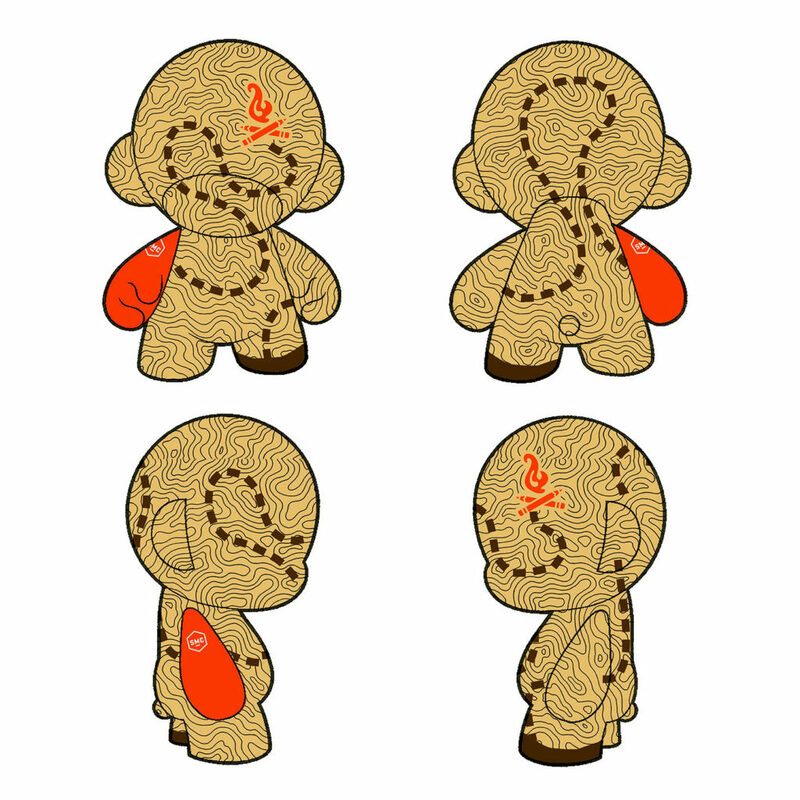 The next Munny I created I decided to go in a more straightforward direction and find a design that could be more organic to fight perfectionism. I always like the topographical maps as a pattern and I use it in my branding quite a bit — but painting it by hand? Oh boy! 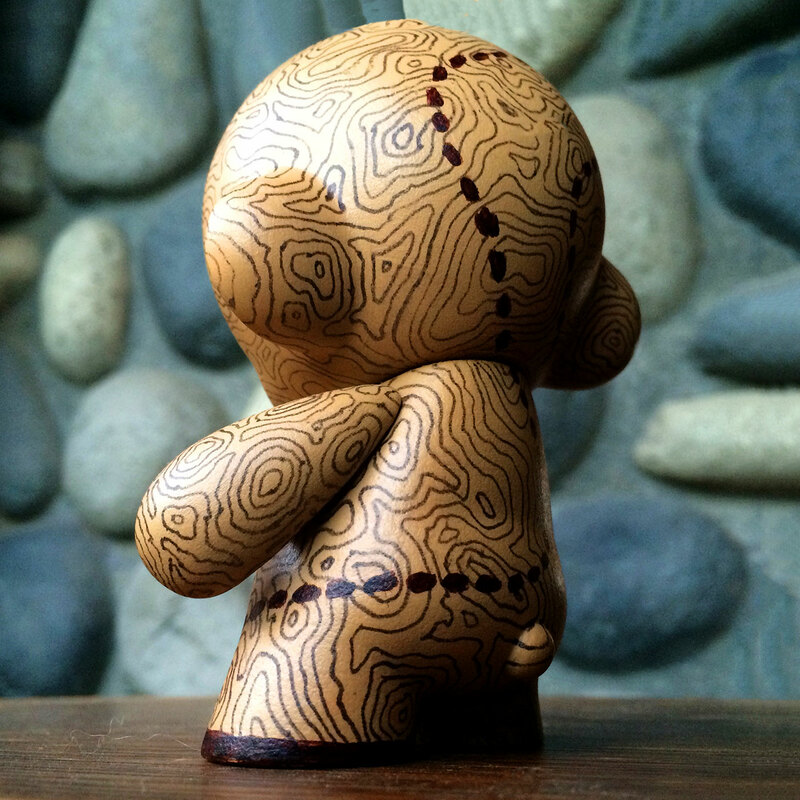 For this Munny I also started with acrylic paint and I found a felt pen was the best way to get the job done. The pen worked well on the paint and made it easier to stay in the lines, being it is a line. Painting the power arm with the logo tattoo made it a little less work, but there were quite a few nights in front of the TV with the Munny project in hand. Surprisingly it was very relaxing. I enjoy these kinds of projects. There are no deadlines and no approval process. I try always to show stuff like this when I am doing branding work for folks. It is great to have strong business cards, but it is also important to find unique ways to bring the brand alive and to make it stand out in the busy marketing world. 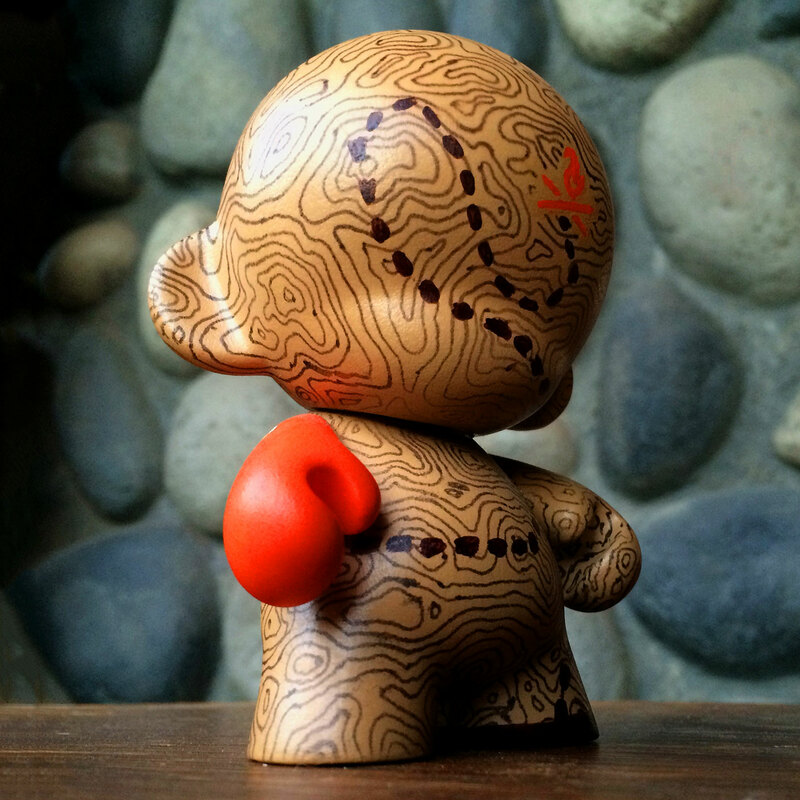 Your brand on something such as a Munny, can bring out the personality of the brand and or even find a new niche angle to interact with your consumer base. Remember, at the end of the day your branding has to be money baby.